Adisappointing statement by the Minister of Agriculture and Rural Development, Chief Audu Ogbeh, has revealed that the prayers of the faithful, who are itching to see an end to the incessant herdsmen/farmers clashes in the country is far from being answered. 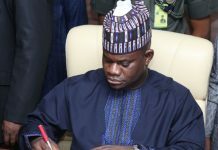 According to him, it required both planning and funding to effectively end the frequent clashes between herdsmen and farmers and the two factors, they cannot deliver. 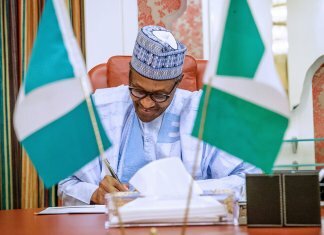 The 1999 Constitution of the Federal Republic of Nigeria 1999 (as amended) in section 14(b) clearly stated that the security and welfare of the people shall be the primary purpose of government. Therefore, if the responsibility of the government of any state or nation is to provide security and welfare to its citizens, why is the federal government doing less to put an end to the endless clashes between herdsmen and farmers? That the federal government is even alluding to planning and funding as the factors inhibiting effective containment of the trend is particularly disappointing. Ogbeh, while speaking at the National Conference on the Transformation of Nigerian Livestock Industry in Abuja, said â€œI canâ€™t give you a date when the conflicts will end but I can give you a date when the conference will end. I can give you a date and I will, when implementation begins. And we will start as soon as possible. â€œTo solve this problem requires a great deal of planning and expenditure. You canâ€™t think that after one meeting, then recommendations come, you want to solve the problem; you donâ€™t have all the funds at once, because this is a problem that has been with us for quite a while, itâ€™s just growing and getting worse. He said one of the major sub-themes of the conference would be access to land and land tenure security, expected to address farmers-pastoralists conflicts and implications on internal security; land tenure system, grazing reserves and mainstreaming gender issues in livestock production. In 2014, marauding herdsmen were ranked the fourth deadliest terrorist group in the world after Boko Haram, ISIS and Al-Shabab by the Global Terrorism Index. The death toll from herdsmen attacks, according to reports, stands at nearly 5,000, contending with the killings by Boko Haram insurgents per year. But the menace, regrettably, has largely been ignored by the federal government. 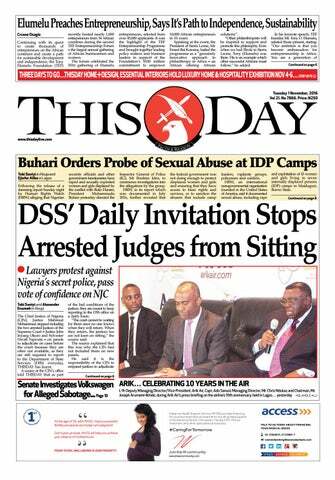 And surprisingly, it is this dastardly activities that Ogbeh said government lacked adequate funding to curtail. The Senate had described the phenomenon as another form of Boko Haram, and noted that the modus operandi of the herdsmen was not different from that of Boko Haram. The Red Chamber, however, charged security agencies to put a check on the attacks, apprehend the culprits and bring them to justice. According to the Senate, the herdsmen engage in violent acts of ravaging communities, depriving persons of right to life and prosperity, defiling women and destroying farm crops, among other criminal activities, across the country. 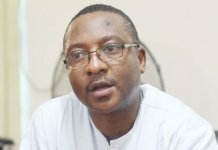 The National Emergency Management Agency (NEMA) revealed that clashes between herdsmen and farmers/locals in Southern Kaduna alone claimed no fewer than 204 people between October 2016 and January 2017. Four districts in Kafanchan Local Government Area Linte, Goska, Dangoma and Kafanchan town recorded 194 deaths while Chikun Local Government Area recorded about 10 deaths, making a total of 204 so far, the National Emergency Management Agency also disclosed. While moving the motion following the gory massacre of the people of Ukpabi Nimbo community in Uzo-Uwani local council of Enugu State, Senator Chukwuka Utazi of Enugu North says report shows that the group is a very dangerous sect. According to the report, herdsmen killed 80 people in 2013 and by the end of 2014 the death toll had risen to 1,229 people. In the first week of January 2016, between 12 and 38 people were killed in Udeni Ruwa, in Nasarawa State and 45 were killed in Agatu, Benue State. January 17, 2016, three people were killed in Gareji Village in Taraba State. January 23, 2016, between 30 and 60 people including a police DPO were killed in Demsare, Wunamokoh, Dikajam and Taboungo of Adamawa State. Also in February 2, 2016, seven people were killed in yet another early morning attack in Agatu, Benue State. February 7, 2016, 10 people were killed in Tom Anyiin. Four days later on February 11, two people were killed in Abbi, Enugu State and some declared missing. February 24, 2016, between 300 and 500 Nigerians were killed in Agatu, Benue State and on February 28, 2016, nine people were killed again in Agatu. In March 2, 2016, residents of Ossissa, in Ndokwa, Delta State fled their homes following attacks by herdsmen. In March 7, 2016, eight people were killed and the next day, 12 were killed in Mbaya-Tombo, both in Benue State. There were more deaths on March 13, 2016 and then, 15 more on March 17. Sadly, in March 26, 2016, 76 residents of Ugwunesi in Awgu LGA in Enugu State were arrested and detained by soldiers for holding a meeting to discuss the problem of herdsmen attacks in their area. Between April 3 and 4 about 7 to 16 people were killed in Ohali-Elu, in Rivers State. On April 9, 2016, in Ilado, Ondo State, Chief Olu Falae, former Secretary to the Government of the Federation, was attacked and a security guard killed. On April 10, 2016, between 15 and 44 were killed in Angai, Dashole, Dori and Mesuwa villages, all in Taraba State. On April 18, 2016, there was news that another 18 people had been killed in Moor, while on April 20, 2016, soldiers were attacked in Agatu, Benue, and a policeman was declared missing. On April 25, 2016, herdsmen attacked Nimbo Community of Uzo-Uwani LGA in Enugu and killed no fewer than 46 persons. Report of casualties from herdsmen/farmers clashes is nearly endless and with such a development, the federal government cannot claim the scourge was difficult to contain. It must put an end to the menace. This is why the position taken by Ogbeh was misplaced and should be properly situated. In essence, it is disappointing for Ogbeh, who many Nigerians have respect for, to declare that a problem that has been giving over 150 million Nigerians sleepless nights could not be subdued due to funding and planning. Pray, what does it take to plan and fund? If the federal government could go all out to whip the Indigenous People of Biafra (IPOB) and its leader Nnamdi Kanu in line, what is difficult in reining in the herdsmen and farmers? 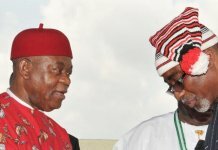 Previous articleIs Yoruba Summit Agenda Realistic?